I don’t often talk about product I dislike as I see it as almost a waste of time being negative however I thought I would share some products that didn’t quite meet my expectations. Just because I don’t like them doesn’t mean you wont especially as soon of the products I mentioned are loved by the beauty community. I also don’t have photos for many of the products as I don’t use them but they are all linked so you can have a look. I gave this cleansing butter and oil a really good go and loved using it however there is something that is in them that breaks me out in really painful spots that I had to stop using it. If you don’t have sensitive skin then you may actually love this and the price point is great too. Is there anyone that hasn’t tried Bioderma Michelle Solution? I absolutely love the idea of it and it’s great to use occasionally or if you are a makeup artist however I have had to stop using it. I use to use it as my first cleanse before following with a balm/cream cleanser but I found it really dehydrated my skin and in turn caused me to breakout. I have even tried the version for dehydrated skin and it was just as bad, if not worse! I used this for a while years ago as it is very inexpensive and everyone raves about it, however I believe there is lots of drugstore concealers that are much better. Although this concealer offers good coverage and staying powder I find it to look very heavy on the skin and crease under the eye area. Keep and eye out for a post featuring my favourite drugstore concealers which are much better alternatives. There are products that simply didn’t work for me and then there is this. I wouldn’t recommend anyone go anywhere near this, the reviews online are bad and it completely burnt my skin off and was unbearably painful. It done what it said it would be removed my skin as well as my patchy fake tan, I was really light with it but it still completely ruined the skin on my chest for a whole week. I’ve been using the Wake me Up Concealer for a while now and love it but since I hear lots of people rave about the foundation too I thought I would give it a go. I don’t think these foundation is a bad one and might actually be great if you have very dry skin but I was still a little disappointed. On application it’s a beautiful foundation with a glowy finish and medium coverage but even on my combination skin it gets very greasy and almost slides off. I really wanted to love this as the finish is stunning and the price is great but it doesn’t last long enough and I won’t be repurchasing. What products have you recently been disappointed by? It seems everyone is talking about Bioderma Crealine and how much they love it or how much they think it is over rated. I go it back at the beginning of last month and I thought that I to would think it was over hyped but I don’t. I might as well start by saying this isn’t too easy to get in the UK. Yes, some pharmacies do stock it and it is available on Ebay but you have to pay quite a lot for it. Therefore if you know anyone in France or you go there at some point I would recommend you pick some up. My aunt kindly sent me some over (I’ve already asked for some more even though I have two bottles), I have been using it ever since I got it in almost two months ago now. 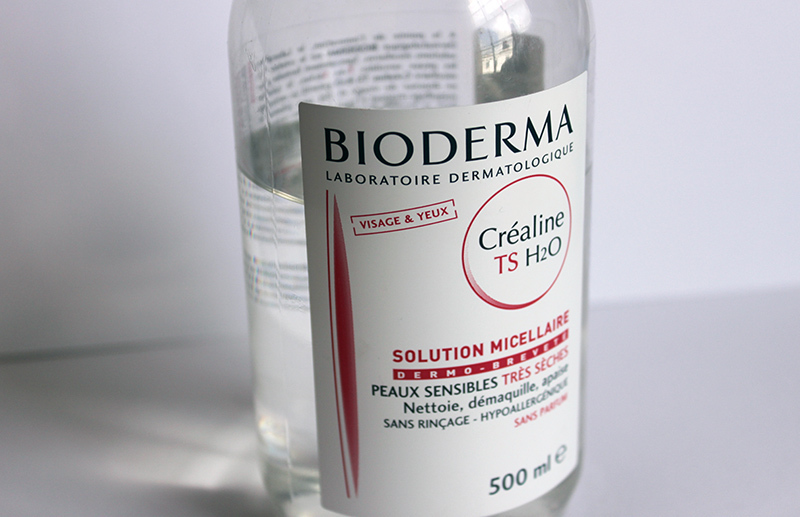 Bioderma is a very gentle but still very effective cleanser which is available. It is popular with many makeup artists as it removes the makeup without irritating the skin which is always good. If feels and looks much like water but somehow it removes all my makeup and if you are patient enough to soak your eyes in it, it will even remove your mascara. It is unperformed, hypoallergenic and really good at doing its job. I thought that if I used this instead of a cream cleanser I would break out and I actually haven’t. Saying that I do still wonder if it is actually doing anything great to my skin, although it doesn’t break me out and my skin is kept in a good condition whilst using this it isn’t in the best condition it have ever been. I would say this is the perfect cleanser to use when you don’t have time or are too tired to wash your face with a cream cleanser and it is much better for your skin than using face wipes. AS you can probably tell I think this is a stable in any makeup wearers collection. It doesn’t have to be the product you use everyday but it is great and I often use it everyday. So here is the tricky part- this product is widely available in France but here in the UK it is available from large pharmacies (usually for around £15), Le Guide Sante (for a great special price of £7.38) and on eBay. 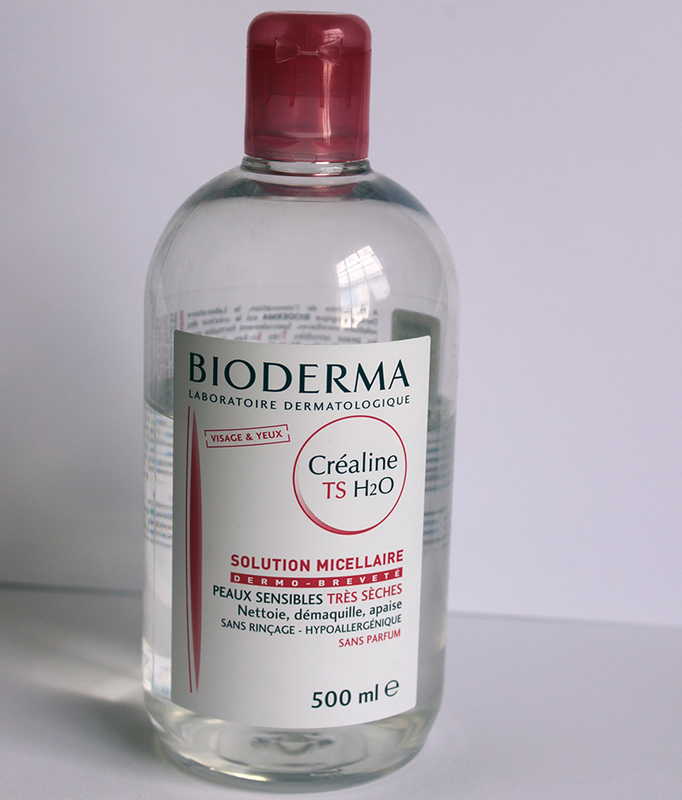 Have you tried Bioderma Crealine? What is your favourite gentle cleanser?